Welcome Northmont High School 1971, classmates! If this is your first visit, read below to see how to get started. Make your profile page and personalize it by adding pictures, You Tube Videos, and Playlists. Discover how to do it all right on this page! As time goes on, please remember to keep your profile up-to-date with current contact information, and enjoy using this site as a portal to reconnect with old friends between graduating years. Click on a link below. GETTING STARTED: Please take a few minutes of your time to create your Classmate Profile. Click the Classmate Profiles tab in the top left navigation. You will be taken to a listing of the class of 1971. Click on your name and follow the instructions to create your login. If you cannot find your name on the Classmate Profiles page, please use the Contact Us page to have your name added. Once you create a profile, you will also be able to see the profiles of your fellow classmates and interact with them. You don't have to finish your profile all at once. Come back whenever you want to add to or update your information, or add more photos. DON'T LET OUR EMAILS GO INTO YOUR JUNK FOLDER: Please add (or allow) the following email address to your "Safe Senders" list so that your spam blocker will allow emails notifications from this website: noreply@classcreator.net. Whitelisting the address noreply@classcreator.net is the single most important thing you can do to ensure valid emails are received. PASSWORD PROTECT: If you choose, you can Password Protect your personal profile to block the general public and search engines from accessing your web page. When you Password Protect, only logged in classmates can see your profile. FORGOTTEN PASSWORD: If you forget your password, just click on the "Forgot Password?" retrieval feature under the login feature, and it will be emailed to you. WHAT IS "REMEMBER ME"? : If you click "Remember Me" when you log in, you will not need to log in next time you go to the site. You can log in from computers other than your home computer but you will need to enter your password. Make sure you are logged into your web site. Upgrade your browser to the most recent browser. Switch browsers. For instance if you are using Internet Explorer, try Firefox. Clear your Temporary Internet Files (cache) and clear your current cookies so you are starting fresh. Click here for instructions for clearing browser cookies. Make sure you are doing nothing to block cookies on the web site. Our login system depends on cookies working. If you are blocking cookies in general, you need to at least permit them for this web site so you can log in. Aren't cookies bad? Answer: No. The "cookie scare" of the late 1990s was largely based on misconceptions that cookies stored on your computer's hard drive somehow violated privacy. Erroneous information regarding cookies has long since been corrected, and cookies are a common programming practice used today by some of the Internet's largest web sites. There is nothing Class Creator does with cookies that will in any way jeopardize your privacy, store personal information about you, or submit your personal information to other web sites. CHANGE OF EMAIL OR SNAIL MAIL ADDRESS: Please change your contact information when you get a new internet provider or move ... we don't want to lose you. We keep our Class List current by downloading your contact information from this website. WEBSITE ADMINISTRATORS: This website was created at www.classcreator.com website and is maintained by your classmate administrators Marcia Williams Bechtel and Christine Mikesell Bidwell. You can reach us by using the Contact Us button. FACULTY AND CLASSMATES FROM OTHER YEARS: We welcome faculty or classmates who went to school with us but did not graduate with our class. We can provide you with a guest account. Use the Contact Us link. Guests will be added at the bottom of the Classmates page. Homepage: This is where the main information and announcements are made. Your admins will email you when there is a new Survey or new Poll. Please participate. Subscribe: Keep up to date by "subscribing" to other classmate profiles, and you will receive an email when they update their pages. Questions: Just click on the "Contact Us" button and we'll reply within 24 hours if at all possible. You can upload .jpg, .gif, .bmp and .png files, but not .tif. If you want to edit your pictures but don't have a picture editing program, you can download a free one from www.irfanview.com. You can crop out anything you don't like. You don't need to resize your pictures, as they will automatically be resized when you upload them to your webpage. When you are ready to add your picture to your personal web page, make sure you are logged in from the Home Page. In the links on the left side under MEMBER FUNCTIONS, click on the link: Edit/Upload Photos. The Photos for (your name) page will appear and you’ll see a box at the top titled: Upload New Photo. Click on it and you will be at the Upload page. Click on the box Add Files. A dialog box with a list of folders on your computer will appear. Locate (browse to) the folder that holds the picture you want to add. For most classmates this will be the My Pictures folder located in the My Documents folder. If you are in the icon view, change your view button (at the top) to show icons as pictures. This makes it easier to find the specific picture you want to upload. Click the Upload button to add the picture to your photos. You will now be back at the page Photos for (your name). The next step is to Sort your photos and add a Caption. Sort: The Sort number controls the order in which photos display on your page. There are 99999 sort numbers. If you assign Sort numbers 7, 45, 99999, 1, 300, your pictures will show in this order: 1, 7, 45, 300, 99999. Add a Caption: Caption is the description you write for your picture. If you want to choose one of your pictures to be your Master Photo, click in the Master Photo circle for that picture. Your Master Photo will appear in your emails and forum posts. Now go to your Profile page (Click on Classmate Profiles in the left navigation bar) and look for your picture and caption. If your photos are really large on your profile page and you would like them smaller, it’s easy to do. Go back to Edit/Upload Photos. Scroll down to the photo you want to resize. Click on the Resize button underneath the photo. A box will pop up. There will be a slider bar at the top of the box. Drag it to the left to make your photo smaller. When it’s the size you want, click Save. Return to Classmate Profiles and your profile page. If the photo isn’t smaller, click the Reload button on your browser (the button that looks like an arrow or arrows going in a circle) and it should reload and be a smaller size. Shortcut for multiple pictures: If you are uploading several pictures that are in different folders, you can copy them to your desktop, then delete them later. Make sure you COPY, not move, your pictures, so you won’t delete the originals. Choose EDIT/UPLOAD PHOTOS under MEMBER FUNCTIONS from the left-hand navigation column. All the photos on your profile page will be displayed. Click in the DELETE box above the picture(s) you wish to zap. Choose SAVE ALL CHANGES. A pop-up box will ask, "Do you really want to delete this 1 photo." Click "OK" and the photo(s) will be removed from your Profile Page. On the YouTube website, make sure your video is showing in the play box. To the right of the video you’ll see a gray box, and near the bottom of this box is the grayed word “Embed.” To the right of "Embed" is a horizontal white box that contains the code for the video. When this code is placed in the Video box on your Edit Profile page, the video player with your video will appear and classmates can view it from your page. On your keyboard hold down the CONTROL key (Ctrl) and press the letter "C" key. This copies the code. On your Edit Profile page, locate the box "Videos." 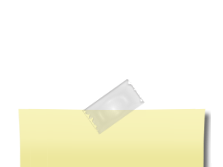 Place your cursor inside the box and left click with your mouse. In the Video Description box just below, enter a name for your video or something about your video, like: “Remember Graduation Day?” This will appear just below your video. Now click the Save button and go view your page. The Playlist will also be placed in your Video box on your Edit Profile page. Go to www.playlist.com and create an account, then start building your playlist by choosing songs or artists you like. Select and copy the code (Control/C) for your playlist at Playlist.com. Use "Get the code for any other social network" choice. Click in your Video box and paste in the code (Control/V). Save your page. You should now be able to view it and hear the music play. If you stay logged in to Playlist.com and you find a song you like on someone else's playlist, you can click the add+ sign to add the song to your own playlist. Now enjoy listening to your favorite music. This feature lists all the emails you have received (IN BOX) as well as those you have sent (OUT BOX) through this web site. Your messages will remain in their respective boxes until you delete them. 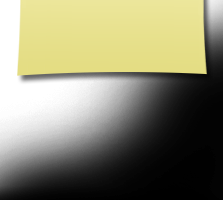 A KEY at the top of both the IN BOX and OUT BOX shows symbols representing the status of an email. You will find one of these symbols to the left of each email listed. Each listed email shows: (1). A box to check, (2). Its status; (3). Either who sent it to you (IN BOX) or who you sent it to (OUT BOX), (4). Subject and date of email, and (5). A red "X." In both the IN BOX and OUT BOX settings, clicking on sender's name brings up that person's profile page and clicking on the subject brings up the actual email. Clicking inside the box on the far left or on the red "X" on the far right, will turn the background red. This means that the email can be deleted by choosing the tab at the bottom of the page that says DELETE CHECKED THREAD. Choosing this feature will allow you to view all of the contact information you entered into your contact information page. You can change your contact info anytime it is necessary. Be sure to click the SAVE CHANGES tab at the bottom of the page when you have finished. Choosing this feature will allow you to change the information that shows on your profile page. Be sure to click the SAVE CHANGES tab at the bottom of the page when you have finished. To add photos to your profile you must be able to locate exactly where the picture is on your computer. Most of the time, it will be in the folder titled MY PICTURES. Follow the directions further up on this page for adding, deleting, and editing photos. When you have information you think would be of interest to classmates, you can create your own announcement. The announcement will be forwarded to the administrator who will make it go live on the Home Page. Profile Subscriptions is a feature that sends you an email anytime a classmate adds new or changes information on his or her Profile Page. This is the easy way to keep up with your classmates. Click on PROFILE SUBSCRIPTIONS and a list of all classmates and guests will appear. Next to each name is a box. Click on the box, or boxes, of those you wish to subscribe to. Their name(s) will appear in the area to the right of the original list. There is no need to save anything; you now have all the subscriptions you desire. Go on to another page by clicking another topic. If you wish to change your password, click on CHANGE PASSWORD under Member Functions. A page with 3 sections for you to fill in will appear. Type in your PRESENT password. Type in your NEW password. Type in your NEW password a second time. If you forget your password, click on the forgot password below your log-in email name, and it will be emailed to you. The majority of our users select the "stay logged in" option when they log in. Therefore, they will always be logged onto the site until they click the LOG OUT link under Member Functions. When somebody selects the option to stay logged in, our system allows the user to bypass the login screen when they come back to the site. If you LOG OUT, the next time you will need to enter your email address and password to get into the site. Also, if you access the site from a different computer (for example a laptop), you will need to reenter your email address and password next time you use your main computer. Forums are intended for reconnecting with old friends, making new ones, sharing memories and stories, as well as current interests. Please avoid topics with political and religious messages. Have the desired information showing on your computer screen. In Vista, print is on the top left icon. In X-P choose FILE from the top menu bar (left-hand side); a menu list will drop down. Choose PRINT and a large box will appear. Choose PRINT again, and your directions will print. You can also highlight a section you want to print, and on the print menu, choose "print selection." You can also get to your print dialog box by holding down the CONTROL key and pressing the letter "P."
New information on a classmate. Questions about how to do something on the site. Suggestions for improving the site. Material or photos you wish considered for a particular page of the site. COPY and PASTE allow you to take printed material from one source and place it in another. In other words, if you find a particularly interesting paragraph or article you wish to send to a classmate, you can "copy" the text and "paste" it into an email. When you reach the end of the material you wish to copy, release the right mouse button. Hold down the CONTROL key and press the key "V." The information will move from the unseen clipboard to your message. Place your cursor on the page where you wish your text to appear and click the right mouse button once. Hold down the CONTROL key and press the key "V." The information will move from the unseen clipboard to your chosen page. Many pictures can be copied in the same manner, but please note that you can NOT use this method to transfer photos to our web site. There are 16 possible pages for the administrator to fill with content. All those in current use will be the first titles listed in the left-hand navigation links column of the website. To view any of these pages, click on the link of your choice and your desired page will open. You will be able to scroll through the entire content by using the blue sliding bar on the right-hand side of the page. To go to another page, just choose the link from the left side and click on it. It isn't necessary to close one page before going to another. On many computers, you can Control/right click to open a page in a new window or tab.